1. Boil the pumpkin pieces with turmeric powder for a few minutes. 2. Mash well and keep aside. 4. Fry the mustard seeds, urad dal, fenugreek seeds, curry leaves and small onions. 5. Add the mashed pumpkin pieces, salt, red chilli powder and coriander powder. 6. 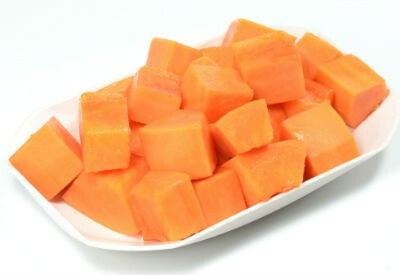 Mix well and cook for 3 to 4 minutes. 7. Garnish with coriander leaves. 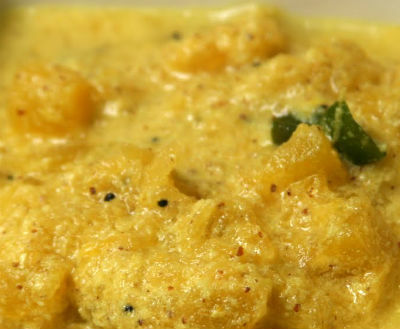 Feel free to comment or share your thoughts on this Yellow Pumpkin Pachadi Recipe from Awesome Cuisine.